Radamel Falcao’s proposed move to Valencia this summer could end up being blocked in bizarre circumstances due to Manchester United’s rivals Manchester City. The Colombian international is said to be a target upfront for the Spanish side, who are keen to improve on their attacking options for next season, with the former Atletico Madrid man shining in La Liga in his spell at the Vicente Calderon. However, Valencia also look to be under obligation to complete the permanent signing of Alvaro Negredo from Manchester City, with the Spaniard currently on loan at the Mestalla but unwanted at the Etihad Stadium. According to the Daily Telegraph, this may mean Valencia are unable to afford a move for Falcao as well, with the player’s future up in the air as he seems likely to remain at Old Trafford. 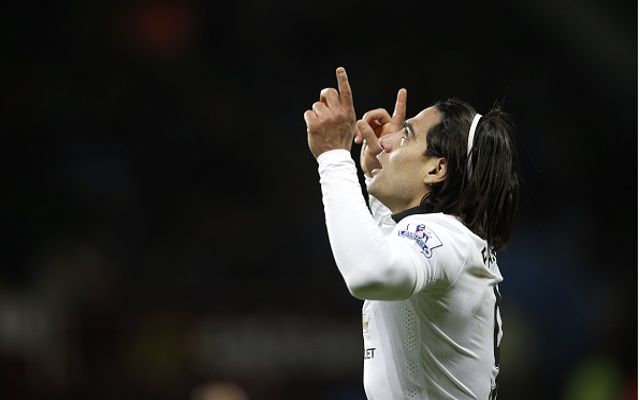 Although Falcao has not performed well in England, he is being eyed as a replacement for Negredo, who only has five goals in all competitions this season.